Atlantic TUNIS Dual Finish for an incredible 25% off at JAS Timber! The TUNIS door handle stands out from the crowd with its elegantly-constructed shape and expensive-looking dual finish. 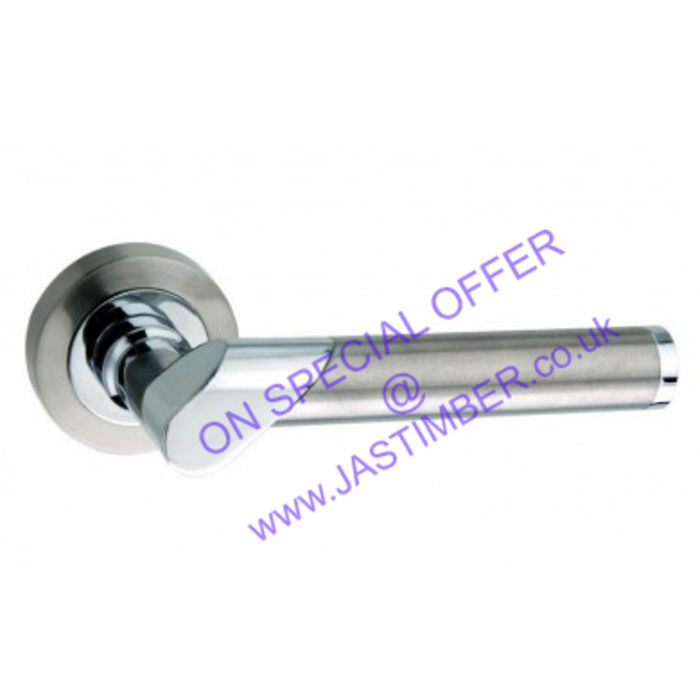 Get 25% off TUNIS Door Levers at Jas Timber now! Atlantic Door Handles have got it just right with this beautiful handle. If you're keen on getting the details right this door handle will be the perfect finishing touch for your modern home. Two beautiful finishes; satin nickel and polished chrome; combine to achieve an elegant-looking interior door handle. The TUNIS lever is a creation of a zinc alloy material so it will continue to look great too. Look at the matching escutcheons and turn and release fixtures and create that sleek look throughout your whole home.